The Canadian Intern Association says the Speaker’s office should implement rules for MPs hiring interns. A former intern in a Liberal MP’s riding office says the lack of clarity between what constitutes a volunteer and an intern contributed to her doing unpaid part-time work for roughly a year. “There probably should be some kind of regulation” for MPs taking on interns, she said, given the definition of her own internship was unclear, even to her. The former intern asked to remain anonymous because she is currently working full time for the MP she interned for, whose name she also asked not to publish so as not to lead to her identification. She started interning with the MP in February 2016. She said she worked in the MP’s office for roughly 15 hours a week while she was finishing her undergraduate degree. After she graduated, she stopped going into the office during the summer months, as her paid job elsewhere kept her busy 60 hours a week. In mid-September, she started interning again, and continued to work in the MP’s office for 10 to 15 hours a week, unpaid. While there, she was responsible for “general office work,” including filing and organization. She also worked on immigration case files. 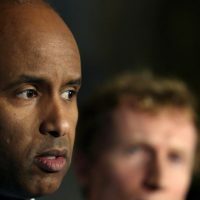 She was authorized to call into the immigration ministry to request status updates on constituents’ immigration case files, or ask why an immigration case file was denied and help the constituent file an appeal. But she also said a benefit of interning in the office was having a parliamentary email address, which gave her access to internal job postings. She applied for a few and was called in for couple of interviews, but was unsuccessful. After a year of 10 to 15 unpaid hours a week, the intern was hired on a short-term contract, and given $1,000 honorarium as “back-pay” for her work, as she described it. When her contract ended, she was hired on full time, and is currently in that position. She said she feels that all internships should be paid. During her time as an intern, she also travelled to Ottawa twice, paying the expenses out of her own pocket. She estimated the cost at about $200 per trip. 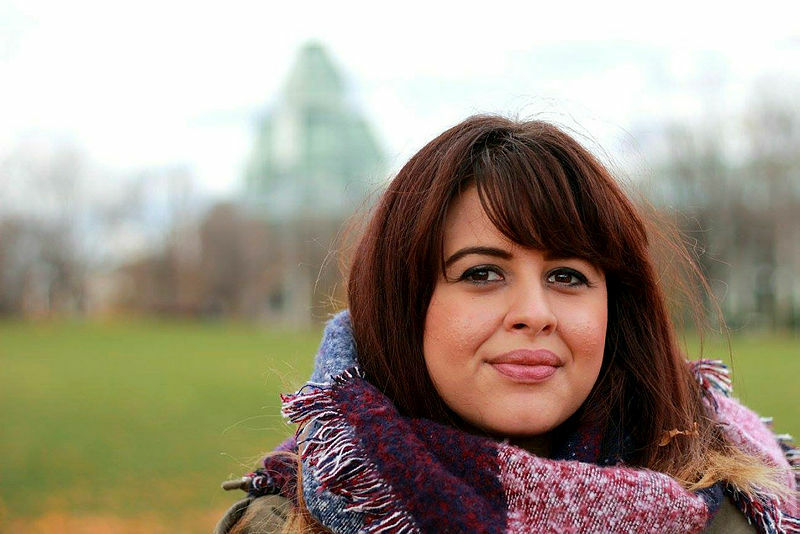 When she was in Ottawa and received a security pass for the Hill, she said she realized she was characterized as a “volunteer.” Until then, the MP’s office had always referred to her as an intern. The former intern said the MP and other staff in the office would consistently tell her they were working on getting her paid, but there wasn’t enough money in the budget. 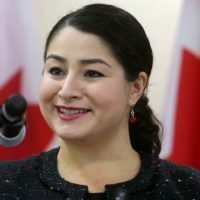 While the House of Commons Speaker works with the Canadian Political Science Association to facilitate the paid Parliamentary Internship Programme, other internship programs on the Hill—paid or unpaid—are up to the discretion of each individual MP. For instance, Conservative MP David Yurdiga (Fort McMurray-Cold Lake, Alta.) advertised for an opening for an “unpaid summer internship” in his office this year. Mr. Yurdiga’s office said they didn’t end up hiring anyone for the position. His office did not respond to requests for further comment. Ms. Ashton says she is “very clear” in her office about what constitutes internships, which she believes should all be paid, and what constitutes the role of a volunteer. Interns “have to be associated with an academic program or the Parliamentary Internship Programme,” she said. NDP employees are unionized, and their union stipulates that work of a volunteer or intern cannot interfere with staff work, meaning volunteers or interns can’t take on essential duties. “Generally, if you perform work for another person or a company or other organization and you are not in business for yourself, you would be considered to be an employee, and therefore entitled to the minimum wage,” reads the Ontario labour ministry’s website. But many staff on the Hill aren’t subject to these provincial regulations. 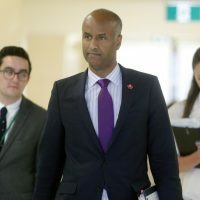 Amy Kishek, the executive director of the Canadian Intern Association, said the organization’s position is that “the Speaker’s office could very well set up rules” around interns. Heather Bradley, the communications officer for the Speaker’s office, said the Speaker cannot implement rules independently. A member has to raise an issue with the House Board of Internal Economy if there were to be a rule change. 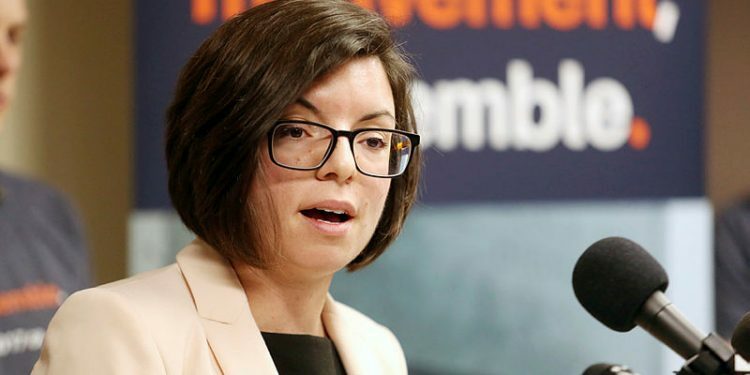 Representatives for the Liberal Party, Conservative Party, and NDP said they didn’t have any rules or guidelines for MPs hiring paid or unpaid interns in their Hill or constituency offices. But the parties themselves, in some cases, run their own internship programs. The Liberals and Conservatives offer paid internships, but the NDP don’t have any internships in their party headquarters. Ms. Kishek, who has previously worked as a Hill staffer, said doing case work is “the entire job description” of some staffers. She said sometimes employers think it’s okay to not pay interns because they see the training opportunity that the intern is receiving as sufficient. A former professor, Mr. Fillmore said he knows how important paid work is to students. Interns through the Parliamentary Internship Programme, which is independent from the House of Commons, pays up to $23,000 as a stipend for 10 months. Mr. Fillmore says he also has a “number of one-day-a-week volunteers” who help out in his office. “They’re just thrilled just to spend a day, and their professors encourage them to do this,” he said. In his office, he said there’s also a difference in the work interns and volunteers conduct. Volunteers might do things such as help to organize a mail-out, including drafting a letter and organizing the envelopes. “It sounds menial,” he said, but in the context of an MP’s office, they get a sense of how things work on Parliament Hill. Mr. Fillmore said interns might already have a degree under their belt. They provide an extra pair of hands that can make a big difference when it comes to conducting research for a bill, for instance. As for the unpaid intern in the Liberal office, Mr. Fillmore said the Liberals are committed to work to address unpaid internships. He also said each office could have its own policy on unpaid interns. The Liberals’ 2017 budget proposes to scrap unpaid internships in federally regulated sectors where the internships are not part of a formal educational program. “While internships can give young Canadians the hands-on work experience they need to make a successful transition into the workforce, some internships—in particular those that are unpaid—can be unfair and exploitative,” says the budget document. In February 2016, the government came under fire from the Canadian Intern Association and labour groups after proposed regulations, a hold-over from the previous Conservative government, allowing federal institutions to take on unpaid interns for a limited period were “unveiled quietly in December ,” as reported by the CBC. Then-labour minister MaryAnn Mihychuk released a statement at the time saying the government was committed to reducing unpaid internships. Mr. Fillmore said he’s never considered implementing a policy on volunteers and/or interns in his office because the issue has never arisen. “We all sort of live and breathe” the belief that interns should be paid, he said. He has hosted interns in his office through various internship programs. Mr. Virani chairs the Parliamentary Friends of Tibet group, which runs an internship for young Tibetan-Canadians for seven to eight weeks a year. Mr. Virani said previously it had been up to individual MPs to decide whether they paid these interns, but that since he started chairing the program, he has been “pretty adamant” that the interns be paid. Mr. Virani declined to comment on the case of the Liberal MP employing an unpaid intern part-time for about a year. The Hill Times takes on unpaid interns for up to about a month, though they must be in school and come to the newspaper through a recognized school program. The Parliamentary Internship Programme is run through the Canadian Political Science Association. It hires 10 interns a year, and pays them a stipend of $23,000 for a period of 10 months. The program runs from September to June. Each intern spends five months with an opposition MP, and five months with a government MP. MPs can apply to host an intern, but it’s the interns themselves who have final say about who they work for. They even interview the different MPs themselves. The program is competitive amongst MPs, and once an MP has hosted an intern for two consecutive years, they aren’t allowed to apply for one in the third year. It is described as being “fiercely non-partisan,” by the program manager, Anne Dance. The program is funded by a combination of grants and sponsorships. Notable alumni include Huffington Post reporter Althia Raj, Liberal MP Arif Virani, Government Senate Leader Peter Harder, and former foreign affairs adviser to the prime minister Roland Paris. The Jaimie Anderson internship employs three interns every summer. It was created to honour the late Jaimie Anderson, daughter of Rick Anderson and the late Michelle Williams. Every year, a charity fundraiser is hosted to raise money for the interns’ stipends. Interns are paid $2,500 a month thanks to this fundraiser and contributions from other donors. “There is a general risk in today’s economy that employers could try to take advantage of the fact that young people need that early experience in order to launch a career,” he said, which is why he thinks it’s important to pay the program’s interns. 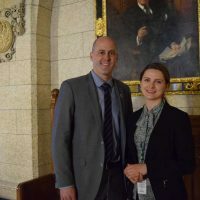 The UCC, a well-organized diaspora group for Ukrainian Canadians, pays a few select Ukrainian-Canadian post-secondary grads $20,000 to work for 10 months as interns to MPs, beginning in September. Run by the Parliamentary Friends of Tibet, this internship is offered to Tibetan-Canadian youth aged 19-25. The interns may or may not be paid, depending on the MP hosting them, though Mr. Virani has tried to ensure they have all been paid over the past two years. The interns work for seven to eight weeks beginning in May, when their school lets out, and ending whenever the House rises for the summer. Every year, students from colleges in the United States travel to Ottawa on their own dime, roughly US$2,000, to intern with MPs. 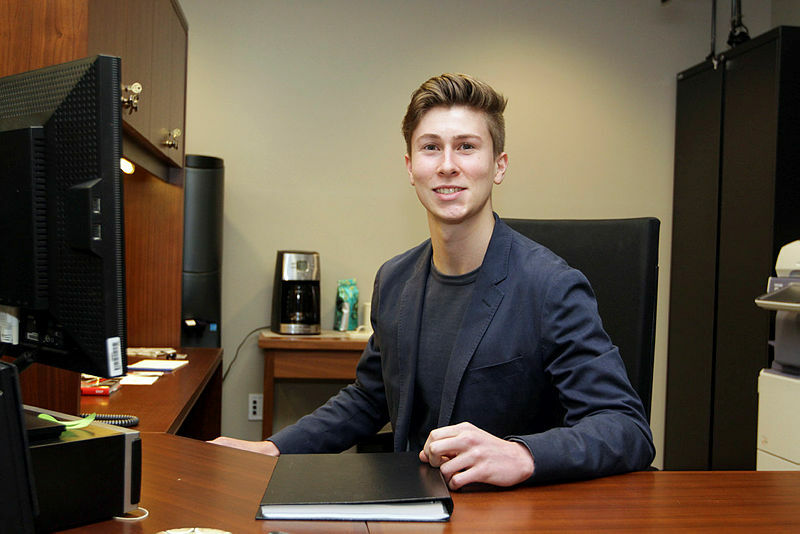 Sam Taglia is one of those interns this year, currently working in NDP MP Charlie Angus’ office. Mr. Taglia has completed two years of college, and is getting university credit equivalent to one course for his work in Ottawa. The students intern for a period of one month. The Hill Times is also currently hosting one of these interns.